AC30CC2 27.4" x 10.4" x 21.25" 71 lbs. First introduced to the US market in April 2005, the AC-30CC2 was the most popular amplifier model in the Custom Classic Series. 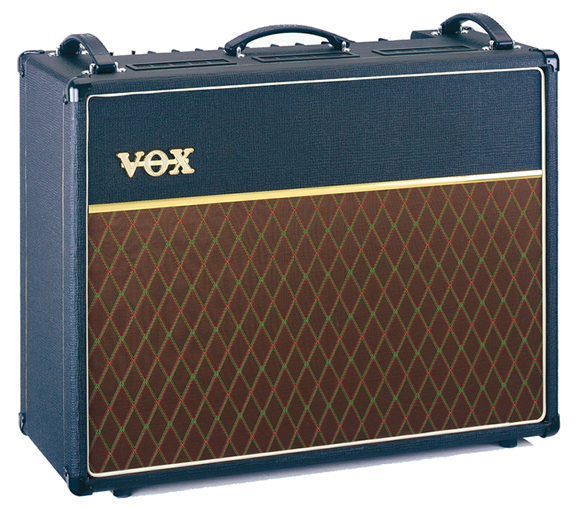 The all tube, 30 watt amp featured a baltic birch enclosure with all the classic Vox cosmetic touches: basket weave vinhyde, brown Vox diamond grill (or fret) cloth, gold piping. 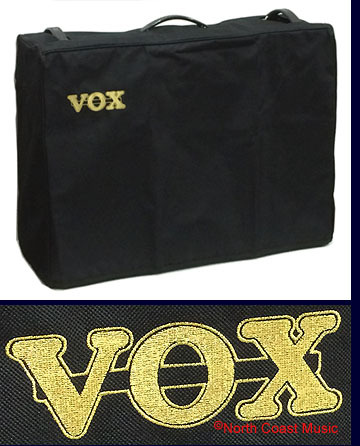 gold plated logo, gold grill molding, white grill piping, three Vox handles, and eight black plastic two pin corners. The AC30CC2 was designed in 2004 by then Vox lead engineer Steve Grindrod. It was produced for Vox by the International Audio Group in Shenzhen, China. 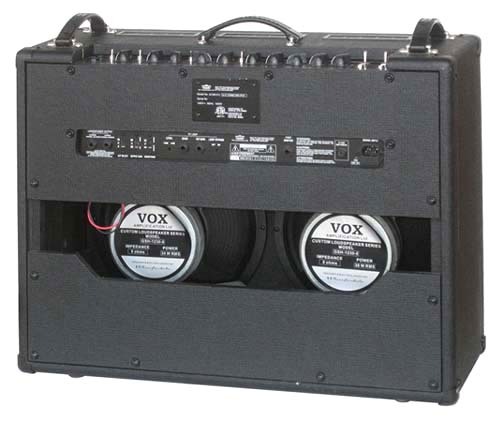 The AC30CC2 utilized two 12" Vox Wharfedale GSH-1230-8 eight ohm speakers, wired in series to sixteen ohms and designed to tonally resemble the famous "green back" speaker frequently used by Vox from the 70s through the 90s. Click here to read about the circuitry and all the electronic features of the AC30CC2. 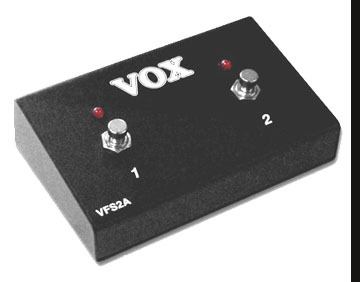 A two button VF002 foot switch was included with this amp to actuate the reverb and tremolo. 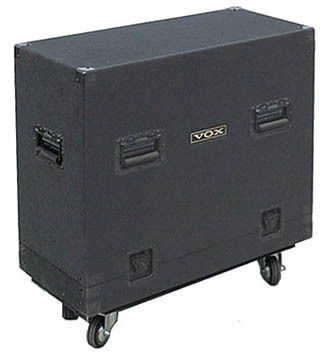 Vox discontinued the AC30CC2 in January, 2010. 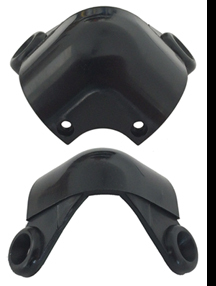 North Coast Music offers these repair parts and accessories for the AC30CC2.